Tooth decay, more commonly known as cavities or caries, affects millions of mouths across the world. Decay occurs when plaque combines with the sugars in our food, which produces acids that can weaken and damage the tooth. Unfortunately, once a tooth has decayed beyond the enamel, there is no “cure” beyond professional dental treatment, but there are a number of actions you can take to protect your mouth against cavities. Your mouth is a breeding ground for bacteria – some good and some bad. The most well known type is what we refer to as plaque. Plaque is always forming inside your mouth; this substance sticks to your gums, teeth, and tongue and contains bacteria that feasts on the sugars we eat. The byproduct of bacteria feeding is acid, and that acid will attack your teeth well after us and the bacteria are finished eating. Left untreated, that acid will start to destroy tooth enamel first and eventually make its way to the rest of the tooth. A carie, or cavity, will occur when a tooth is frequently exposed to acid. Tiny openings begin to emerge in the enamel of the tooth, which is the first stage of a cavity. These holes allow the acid the penetrate the tooth even deeper and move on to the next layer of the tooth, a soft substance called dentin. Bacteria and acid will continue to invade the tooth until it reaches the inner tooth material, or the pulp. 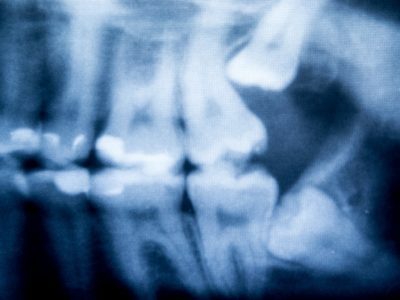 At this advanced stage, the bone that supports the tooth may become compromised and result in a tooth abscess (a pocket of pus), which is usually treated by a root canal. 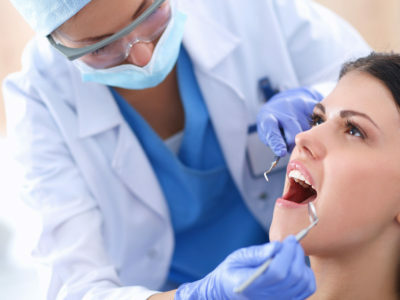 Many patients don’t develop symptoms when a cavity first develops, which is why it’s so important to visit your dentist for regular check ups for cavities before they cause severe damage to your teeth. Luckily, the substance that causes tooth decay, plaque, is soft and fairly easy to remove with brushing and flossing. However, plaque will harden over time into tartar, which can only be removed by a trained dental professional. Plaque and tartar can be especially difficult to remove around molars. While not curable, proper dental hygiene is important to prevent tooth decay. This includes brushing twice daily, flossing daily, and visiting your dentist twice a year for teeth cleanings. If decay is only present in the enamel, the enamel is able to cure itself using minerals found in the saliva. Do your best to stay away from sugary and acidic food to allow the enamel time to fully heal. Once a tooth has decayed past the enamel, there is no natural cure, but there are treatment options. A dental professional will likely remove the decayed portion of the tooth and use a filling to replace it. If a tooth is in very bad shape, the dentist may need to replace a larger portion of the tooth with a crown. If the decay has reached the root of the tooth, a root canal will be necessary.